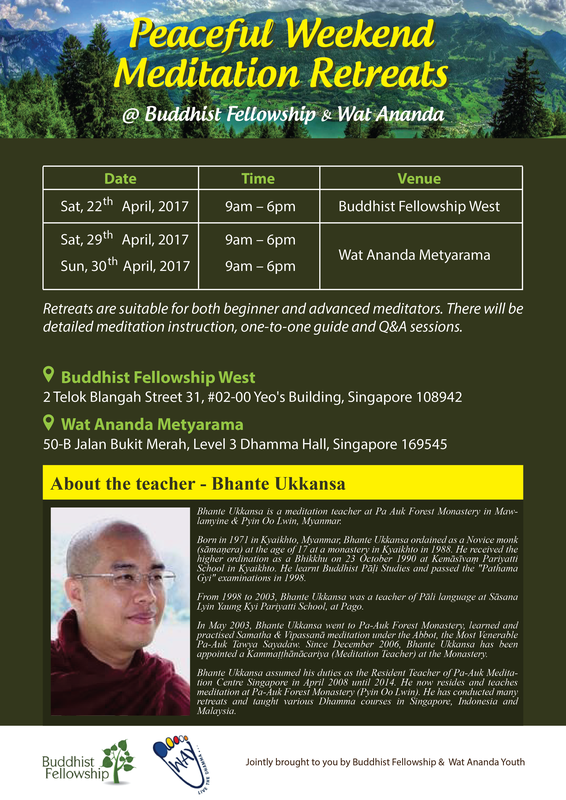 Bhante Ukkansa is in Singapore and will be leading a retreat on the 22nd of Apr and 29-30 Apr at Buddhist Fellowship West and WAY respectively. Kindly refer to the poster below for exact details. If you have any questions, you may pose them on our FB page or drop an email to this email address: way1966@gmail.com. This entry was posted in Forest Way on April 15, 2017 by wayadmin.